In the old days people had to fend for themselves, and would put money away in the good times so they could cope with the bad times. Today, the government provides a safety net for everyone, making a stock of savings less of a necessity than it was before. Some people still do accumulate significant savings, though. So will your eligibility for benefits be affected if you are one of those? It seems rather paradoxical that those who have acted responsibly by building up a stock of savings to help them cope with adversity are penalised for doing so by the government. That is how it is, however. Your savings do affect your eligibility to receive some government benefits, potentially either reducing the amount you get or even meaning that you will get nothing whatsoever. For those who have just been made redundant, this is an especially important issue because, in most cases, you will have received a lump sum redundancy payment. Sometimes, this can be a very large amount. Up to £30,000 can be paid free of tax, but if you just retain it, it will affect your eligibility for some state benefits. If you’ve just been made redundant, unless you have a new job lined up, you will naturally want to claim Jobseeker’s Allowance. There are two forms of Jobseeker’s Allowance : contribution-based and income-based. Contribution-based Jobseeker’s Allowance is only available to those who have made enough national insurance contributions and is only payable for six months. It does not take account of your level of savings. Income-based Jobseeker’s Allowance does take your savings into account when determining you eligibility. It is not time-limited. Both contribution-based and income-based Jobseeker’s Allowance can be claimed at the same time. The main state benefits which take savings into account when determining eligibility include income-based Jobseeker’s Allowance, Council Tax Benefit, Income Support and Housing Benefit. For savings in between the two limits, your savings are assumed to yield a weekly “tariff income” of £1 for every £250 of savings. This equates to an assumed annual tariff income of approximately £50 for every £250 of savings, equivalent to an interest rate of 20%, which is clearly absurd and unattainable in the real world. Nonetheless, this is the basis the government uses for their calculations. The benefit payments you receive each week will be reduced by your assumed tariff income. So, if the lower limit is £6000, and you have £10,000 saved, £4000 of that will be counted. £4000 divided by 250 is 16, so you will get £16 less per week in benefits. When you’re made redundant, the payment you get from your employer is the silver lining to the cloud. Just be aware that, when it comes to Applying for Benefits, the silver lining may have a whole new cloud of its own. I recently bought a new house and used savings of £20k to put down as a deposit and now only have savings of £2k left. Unfortunately after we moved into our new house, I recently have been told that i am being made redundant. Myself and my wife currently recieve tax credits. I have been looking online and have read that we will have to claim universal credit once i lose my job. My concern is that even though we only have savings of £2000, my friend told me that as recently we had £20k which we used on a deposit for a mortgage, which is over the £16k threshold so we cannot get universal credit ;( i'm wondering if this is true and how this works? Hi, I have just been made redundant and have had a payout of £50,000. I guess I won't be able to claim any benefits but wondered what I need to do about NI contributions, can you advise? You may be able to claim Jobseekers Allowance regardless of the amount of money you have in savings, please see the link here. I have been told (yesterday) that I am at risk of being made redundant. I think they have picked me for unfair reasons. But my question is:-Last week everyone in the company received a "news letter" in which we were told everyone would receive 2 days extra holiday each year (with immediate effect), this includes new people old people in fact everyone (there are over 100 staff members). How can they give 200 man days away and the next week make me redundant? Are you the only person whose job is being made 'redundant'? If you are and the terms redundancy has been used, then your employer has to follow certain procedures please see link here. In order to make a person redundant an employer must be able to justify why their job no longer exists. Hi, I'm seeking for some advise please as to what I can claim, where to go etc... I have worked since I was 15 so pretty clueless. I am a single parent to a 1 year old, I have a mortgage and always been self sufficient and an independent person. I have recently been made redundant I am currently living on my redundancy and savings I have but wondering whether I need to or not? As I have contributed tax etc. My redundancy is £9,000 and I have £9000 savings....which has took me along time! Before redundancy I was planing on using this money to upgrade my house as parts are unsafe for my toddler. Floor boards are coming through. Garden is unsafe for him to play in. Would my savings effect anything? Your wife's savings would be taken into account as you are married. When people are married their finances are considered joint. Hi I just moved in to Uk 5 months back with my family..I am EEA citizen..I have around 19k pounds in the bank which I received from my previous company as settlement .. I am still jobless and my wife is pregnant and not working, I have son 6 years..Now i just got a job with annual salary around 14k ..start by July 2018. I bought the money so that I can buy a house.. also I will need to buy a second hand car .. as my job needs that.. How this will effect for any benefit I claim either for my son or spouse. @Dave - As bitcoin currency doesn’t pass through banks or is not government regulated, it is not legal tender. So, I guess you wouldn't have to declare it. But neither can a company legally pay bitcoin in terms of redundancy - so it's a bit like playing Monopoly, it doesn't really exist in any legal or real framework. Hi i have a question about bitcoin and redundancy. So i was made redundant last month and i have £6k in cryptocurrency. Would i need to declare this if i apply for contribution based allowance. As bitcoin is not capital nor is it shares, i was just confused as to if i would need to . Hi i have savings of 9 thousand in my savings account and am currently seeking jsa. What happens when i tell my advisor this? I have been offered a settlement agreement by my employer and I am very seriously considering accepting it. Obviously I am taking everything into account, in particular my income over the following weeks/months. I have a full time job and I also work a couple of hours each week for another company. It is my full time job that will be terminating. Will I be entitled to claim any benefits if I am still working the couple of hours? You may be eligible for Jobseekers Allowance if; you’re actively seeking work, you work on average less than 16 hours per week and your partner, if you have one, works for less than 24 hours a week on average. You can see more via the gov.uk link here . I have been offered a settlement agreement by my employer and I am very seriously considering accepting it.Obviously I am taking everything into account, in particular my income over the following weeks/months.I have a full time job and I also work a couple of hours each week for another company.It is my full time job that will be terminating.Will I be entitled to claim any benefits if I am still working the couple of hours? 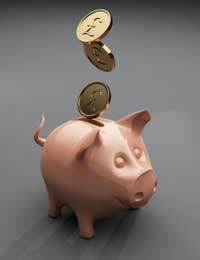 Any pension money you have may affect your entitlement to benefits. This applies if you take money out of your pension pot or leave it in, please see link here , which should help answer your question. If you have any further questions, the Pension Advisory Service should be able to help, please see link here. I am on JSA income based, and I was recently been given £10,000 in a will. Although some of this will be going on helping me get back on my feet- do I need to declare this straight away or after I have spent some of the money? I am going to buy a small car so I can try to start doing deliveries and get back into work. @Lottie - you can apply for Jobseekers Allowance if you're looking for work, despite your redundancy payment as it doesn't take your savings into consideration. Have you thought of doing that? I have just been made redundant and the payout was over the £16k savings limit to be able to apply for Universal Credit. However, I was advised by DWP that I should still apply in order to get NI credits. It was quite a lot of work to go through the application jointly with my husband, as they wanted lots of documentation regarding savings and investments. They now have everything in hand and have simply closed the claim 'due to the level of savings and investment'. I made it completely clear from the beginning that I wasn't expecting any benefit payments apart from NI credits and it now looks as though I will have to do the whole application again simply to speak to them. Grateful for your advice on whether I am actually eligible for NI credits (I'm sure it's based on NI contributions, so there's no reason why not) and if so, is there a quicker way to apply for them? Thanks. Hi, I am keen to add a comment of mine and learn more from people like me who are on the doorstep of retirement. I am keen to find out more and join the stream which can benefit people jointly who are on the doorstep to retire. I have just come into the situation where I will need to be claiming Universal Credits, but was wondering regarding the savings...? I have been saving to get a deposit for a house, and these savings now come to around £8.5k. However I also have another account in my name that my daughters child benefit allowance goes straight into that I don't touch so she will have a nest egg when she turns 18. There is roughly around £2k in there at the moment. This money obviously isn't for me, but is in my name. Therefore my savings total comes to around £10.5k. I know this still comes under the £16k threshold so can still claim, but what I receive would be reduced. My question is, what about if I transferred this money to my parents to look after? Would the benefits people check accounts and see that I've just transferred £2k from my account and think I'm trying to cheat them? Also would it be possible to transfer more to my parents so that my savings then go below the £6k and therefore benefits received won't be affected at all? I am 67 and l have just been to an interview with dwp l get housing benefit and council tax benefit l have £10000 in an account it was redundancy money that l lost in stocks and shares 20years ago but l got it back through ppl two years ago l put it into a bond for two years and now it is in an ordinary account l have not told the dwp because l thought you could have 10000 in savings but l went to an interview and they asked me about it but l panicked and said l didn't have it and l have signed my name l am now worrying myself silly how do l stand under the circumstances. You can see more via the gov.uk link here, which should answer your question. However, it is always best to declare what you do have honestly, so that your benefits can be worked out accurately and to save you any sleepless nights. I am 67 and l have just been to an interview with dwp l get housing benefit and council tax benefit l have £10000 in an account it was redundancy money that l lost in stocks and shares 20years ago but l got it back through ppl two years ago l put it into a bond for two years and now it is in an ordinary account l have not told the dwp because l thought you could have 10000 in savings but l went to an interview and they asked me about it but l panicked and said l didn't have it and l have signed my name l am now worrying myself silly how do l stand under the circumstances . I've been on ESA for a year due to having cancer. I recently received a letter to prove that my savings are still the same. It was £6000 last year. I never received the first letter, so I phoned up to ask for an extension. The lady on the phone said that they will carry on with my payments until I send the bank statements to prove nothing had changed or had changed. The lady on the phone asked if my savings were still the same, and I said yes. But at the time I wasn't very well and when I got off the phone I realised I had made a mistake. As I have recently inherited more money (£3000) from my granddad after he died. I feel awful as the lady on the phone made a note that my savings had not changed but now they have. I literally just didn't think at the time on the phone. Will I be in trouble when I send my new statements to ESA and they see that I have more savings now, than the original £6000?